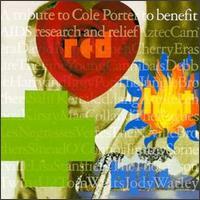 In 1990 the first Red, Hot + Blue album was released which raised money and awareness for HIV and AIDS related illnesses. It featured covers of songs that were written by Cole Porter. There were no singles released from it but it was really a superb album that fans of each of the artists involved would have added to their music collections. It included songs such as You Do Something To Me sung by Sinead O'Connor, Night and Day performed by U2 and Don't Fence Me In by David Byrne. I remember feeling a sense of pride that Irish artists such as Sinead, U2 and The Pogues were involved in such an important album. The song I'm featuring from the Red, Hot + Blue album is Down In the Depths sung by Lisa Stansfield. It was originally recorded as Down in the Depths (On the Ninetieth Floor) and featured in the musical 1936 Red, Hot and Blue which is also the musical that gave the album it's name. It was first sung by Ethel Merman. As part of the Red, Hot + Blue project there was a series of videos made for all bar two of the songs on the album. Each of the videos were directed by famous directors of both film and music video. The video for Down In The Depths was directed by Phillippe Gautier.